From boot camp to yoga and everything in between, you'll love the Kari Traa Opplagt Running Tight. 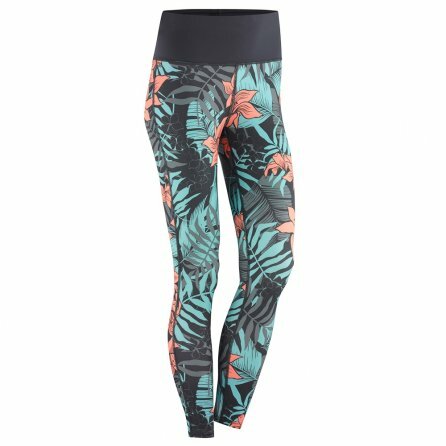 These bold, bright tights are as heavy on style as they are on performance. And perform they do, courtesy of the quick-drying fabric and skin-tight fit. Think of these tights as a second skin that moves naturally with your body for workouts, running, and so much more. The Opplagt Tights have an extra wide waistband for full coverage during all your bending and moving. "What is an american m v large"
"Thank you for your inquiry! The size medium has a waist of 76 cm, a hip of 100 cm, and an inseam of 80 cm. The size large has a waist of 82 cm, a hip of 106 cm, and an inseam of 82.5 cm. We hope this information helps! " "The sizing for the Kari Traa Opplagt Running Tight is: SMALL = size 4-6, MEDIUM = size 8-10, LARGE = size 12 and XLARGE = 14-16. Hope this information helps! "